NCCPA is conducting the most important survey you’ll be asked to complete this year, and those who complete it will be awarded up to 1.5 credits of Category 1 CME. In mid-April, we emailed every certified PA a link to the practice analysis survey that will help shape the content and direction of all NCCPA exams. Results will be used to re-evaluate the content of PANCE, PANRE and the CAQ specialty exams. If you want the exams to reflect what you actually do in practice, this is your chance! The practice analysis is only conducted every five to seven years, so please don’t let this opportunity to have a voice about PA practice pass you by. • The data certified PAs provide about the knowledge and skills you employ in practice -- coupled with the data from the PA Professional Profile -- will be leveraged to provide unprecedented insight into the work of certified PAs and into your significant role in the health care system. • The 2015 practice analysis data will be used to reach audiences through publications, presentations, news articles, and other communication outlets directed towards those that hire and reimburse you. • To thank you for your time and encourage participation in this important survey, all who complete the survey will be entered to win one of five $1,000 prizes. So find that April email or watch for a reminder message from NCCPA that includes your survey link, and please take the time and make a difference! Tried to complete the survey and encountered technical difficulties? NCCPA has worked with the survey distribution company to resolve those issues. Please give it another try! CME Approval Notice: This program has been reviewed and is approved for a maximum of 1.50 hours of AAPA Category 1 CME credit by the Physician Assistant Review Panel. Physician assistants should claim only those hours actually spent participating in the CME activity. If you are attending the AAPA conference this week and have taken PANRE in the last 12 months, we would like to invite you to participate in a focus group discussion about that experience. The meeting will take place from 12-2 p.m. at a hotel that requires a 10-15 minute walk from the Moscone Convention Center. Lunch will be served. If you’re interested in participating – and can commit to participating for the duration of the meeting -- please register online at https://www.surveymonkey.com/s/PANREFocusGroup. Space is limited, so please respond today! NCCPA staff and leaders will be in San Francisco later this week to talk with conference-goers at our booth in the AAPA Annual Conference registration area Friday afternoon through next Tuesday. Come by and let us know what you think about the new mobile app and website, let us answer your questions about certification maintenance, learn more about the CAQ program… and then walk away with a new pen, a new “Proud to Be a PA-C” lapel pin, or – for the first 1,100 or so who visit – a t-shirt celebrating 40 years of certified PAs. • Monday, May 25 – 12 pm – “Starting Off Strong: Learning from Others’ Mistakes” – NCCPA’s Katherine Adamson, MMS, MA, PA-C will deliver a fascinating session geared towards PA students and new grads designed to help them avoid “sticky situations” that have gotten other PAs in trouble with the law, licensing boards and NCCPA. • Monday, May 25 – 7 pm – National Medical Challenge Bowl – NCCPA is sponsoring this fun event during which PA programs go head-to-head for bragging rights in this high-octane medical quiz bowl. • Tuesday, May 26 – 8 am – “The Latest on PA Certification from NCCPA” – NCCPA’s Greg Thomas, MPH will share the latest on the new 10-year certification maintenance process and new PI-CME and self-assessment CME activities. The new NCCPA app for iPhones and iPads will be available – free – later this week in the App Store. With input from many of you – including those who tested the beta version of our app -- NCCPA has developed an app you can use to log CME, edit CME activities, upload photos of CME certificates to your permanent record, view your personal dashboard to check the status of your certification maintenance activities, and more. We will add other features in future phases and are working to launch an Android version this fall. Make sure you have iOS 8 on your iPhone or iPad, and then download the app when you're ready to log CME. As you use the app, you’ll find a link there to FAQs to help you with questions we anticipated some might have. Have other questions or feedback to offer? Email mobileapp@nccpa.net with your comments or suggestions. Last week NCCPA launched a new website that visitors will find much easier to view and navigate on phones and other mobile devices. We hope you also like the fresh look and streamlined navigation. Feedback? We’d love to hear it! Email nccpa@nccpa.net with your comments. If you’ve been putting off registering for a CAQ because you want to know what the test will be like – wait no more! We now have Practice Exams for six of the CAQ specialties, which will help you assess your strength and weaknesses based on the content blueprint for each specialty -- much like the PANCE and PANRE Practice Exams help those preparing for those exams. The practice exam for the Psychiatry Specialty Exam will be launched a little later this year. After taking one of these online practice exams, you will receive a performance profile showing how you did compared to others in the specialty who took the exams during a pilot test – information that can help you focus your study efforts. The 60-question, 60-minute practice exams also simulate the timing of the CAQ exams, so they are a great way to get accustomed to taking a timed, computer-based exam. For just $35, the Practice exams provide feedback on how you performed on the exam and an opportunity to gain experience with the types of questions included on the exams and the computer delivery format. Learn more about the Practice Exams online, or sign in to purchase one today. The History Society is headed to San Francisco; please stop to see us at the PAHx Booth located in the AAPA Conference registration area. 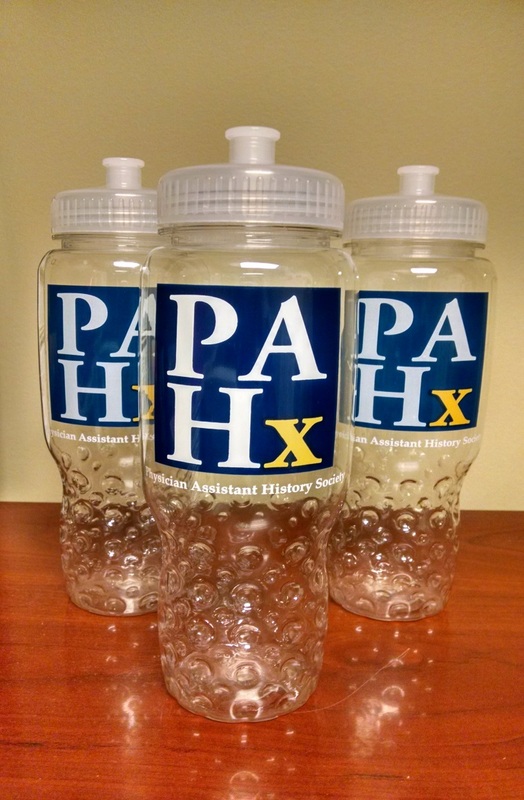 The Society will be celebrating 40 years of PA certification by giving away PAHx water bottles to the first 40 people each day who visit our booth! Also, if you find yourself saying “I remember when…” during conversations with your PA friends ... or perhaps you‘ve been called a “PA Fossil” ... or you’re a “PA Fossil Wannabe”... then don’t forget to pick up a fun PAHx badge ribbon when visiting our booth! For the latest PA History Society news, please visit the PAHx illustrated website, check out the latest issue of Historical Happenings, and “like” us on Facebook. The nccPA Health Foundation, in partnership with the PAs for Oral Health Special Interest Group and student leaders, is collecting 1,000 PA Smiles for Oral Health during this year’s AAPA Annual Conference in San Francisco. Here’s what to do: Use your phone to take a smiling photo and post it on Facebook, Twitter, or Instagram with the hashtag #PAsSmile4OH to show your support for oral health in PA practice. Then encourage your PA colleagues to do the same. Not going to the conference? Share your smiling selfie and use the hashtag #PAsSmile4OH on Saturday, May 23 through Wednesday, May 27 to show your support from wherever you are. 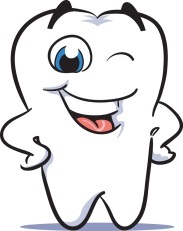 Want to learn more about oral health? Visit the nccPA Health Foundation at the NCCPA booth in the registration area or the PAs for Oral Health booth in the exhibit hall to learn more about free Category 1 CME, community outreach and research grants, and more. Or, visit the nccPA Health Foundation online to find out more. These activities are part of the PA Leadership Initiative in Oral Health and are made possible through support from the NIIOH and its funders. Forbes magazine was the first to publish data from NCCPA’s most recent report on certified PAs. Read Physician Assistants Grow, Expand Value-Based Care Role. As NCCPA celebrates 40 years of PA certification, HealthLeaders published information from NCCPA’s 2014 Statistical Profile in: PA Spots Grow as Profession Has 40th Anniversary. PA Cathy Gillespie, who works in two states, explains why it is important for all states to adopt the six elements of modern PA practice. Read “PAs Want Full Collaboration Not Independence”. As certified PAs gain attention on the national healthcare scene, insurance companies are taking notice. Read the article in National Underwriter: PAs Seek a Place in the Directory. Want to know more about our president/CEO? Read a profile of Dawn, a former PAEA president, in PAEA’s The Networker.